The well-being and health of a woman is highly dependent on the harmonious functioning of hormones, which change not only over time, but also every month. The woman should take special care of herself during pregnancy and breastfeeding, when the body's nutrient demand increases and the hormones fluctuate significantly. Food supplements or preparations specifically for women can be used to improve the well-being and avoid the lack of nutrients. 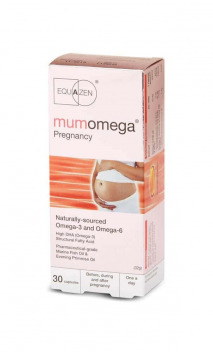 You will find food supplements for women of well-known manufacturers that are useful during pregnancy and lactation, as well as preparations to restore the normal vaginal microflora and protect against bacterial vaginosis and its unpleasant sensations: secretions, itching, burning, redness, etc., in this category.